Customizable outings for 1 to 5 days and 1 to 11 people that include instruction at a golf course for several hours in the morning, lunch together for everyone, and then a round of golf in the afternoon. The group I am in will get a playing lesson every day and for larger groups, a second instructor to play with can be added. Perfect for those traveling together on business trips or vacations who want to play great courses and improve their games at the same time. 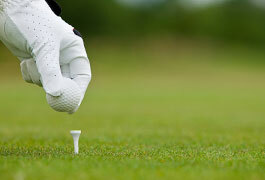 Green fees are included, although there may be a surcharge for super-premium courses. There is no better way to have your kids take a few days of vacation to sunny San Diego and be instructed by an NCAA hall of fame golf coach. One of the best customized golf schools in the country. No San Diego golf schools around have this level of prestige and opportunity for personal instruction. Click here to sign up for camp. + Help with lodging and dining options is available. + Nighttime activities for the whole group or daytime activities for non-golfers is also available including: San Diego Zoo, Sea World, Legoland, Disneyland, Sport Fishing trips, Padre and Chargers games. + A competition or tournament within the group for some or all days is a popular option.